Why is the state's collection of vehicle property taxes changing? How can I find out what vehicle taxes I paid for income tax purposes? The total amount of property tax you paid is printed along with your registration. Since the county no longer collects these payments we are unable to issue you a receipt or maintain the information on our website. Payment information is available through the DMV Website athttps://www.ncdot.gov/dmv/Pages/default.aspx. Please have your license plate number(s) available ease of service. When does the new Tag & Tax System take effect? The new system is scheduled to be phased into effect with vehicle registration renewals that are due in September 2013. By June 2014, all North Carolina vehicles will be enrolled in the system. Why has my registration renewal form changed? The new form combines information about your vehicle registration renewal fee and your vehicle property tax due. The new Tag & Tax System allows you to make one payment for both registration renewal and vehicle property tax. Can I renew my vehicle registration if I do not pay my property tax first? Am I paying vehicle property taxes for the coming year, or for the preceding year? How will I know what vehicle property tax I owe? An owner can apply for a refund of taxes paid when a motor vehicle is sold or registered out of state. The refund will be calculated on any full calendar months remaining in the registration period after the license plate is surrendered to the N.C. Division of Motor Vehicles. Within one year of surrendering the license plates, the owner must present the following to the county tax office: (1) Proof of plate surrender to N.C. DMV (DMV Form FS20); and (2) Copy of the Bill of Sale or the new state’s registration. License plates can be surrendered to your local License Plate Agency or mailed to: NC DMV Vehicle Registration Section, 3148 Mail Service Center, Raleigh, NC 27699-3148. You may fax a copy of your FS20 form and bill of sale or new state’s registration to 336-727-2369. Should I pay vehicle property tax if I am active duty military? Active duty non-resident military personnel may be exempt from North Carolina motor vehicle property tax. To qualify for an exemption, you must present a copy of your Leave & Earnings Statement to the county tax office. The statement should be for the month and year in which you register the vehicle and must include your Estimated Time of Separation (ETS) date and home of record. Will I still receive a registered motor vehicle property tax bill from Forsyth County? The county will still be billing vehicle taxes for registrations made through August 2013. If you have not paid a tax bill that was due on or before December 1, 2013 – past due January 1, 2014 – you will continue to receive past due bills from the tax office to be paid to the Forsyth County Tax Office. Who do I contact with questions concerning tax value and jurisdiction? 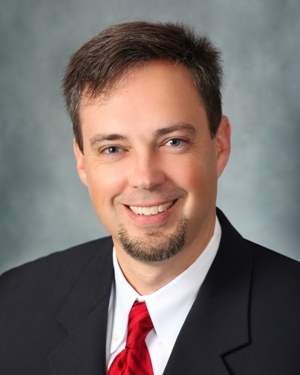 The Forsyth County Tax Office will still handle value and taxing jurisdiction issues. Our phone number is 336-703-2300. Where do I file an appeal of value? Appeals must be submitted in writing within 30 days of the due date of your registration to the Forsyth County Tax Office, P. O. Box 757, Winston-Salem, NC, 27102. They must include a detailed description of condition and/or a copy of your last inspection statement showing high mileage if applicable. Why am I receiving a Forsyth County tax bill after September, 2013? If your vehicle registration has an August 2013 expiration date or earlier, you will still receive a bill from Forsyth County which is to be paid to the county tax office. The last bills to be sent from the tax office will be due December 1, 2013 and past due January 1, 2014. Any past due county tax bills should also be paid to the county. What happens if I do not pay my Forsyth County vehicle tax bill? Interest continues to accrue on past due bills. Collection remedies are still in force. The tax department can still block registrations, attach wages, bank accounts, and state income tax refunds. A past due bill can also be reported to the credit bureau. What if I receive a combined vehicle registration renewal and property tax notice for a vehicle that I no longer own and have transferred the plate to another vehicle? DMV will not automatically send a corrected notice. You must contact the NC Division of Motor Vehicles Help Line at 919-814-1779 and speak to a customer service representative. Ask the representative to issue you a notice on the vehicle you now have and you should receive it by mail within 5 to 10 days. Please note that interest will be charged on the taxes and registration fee if paid after the due date printed on your registration notice. What if I receive a combined tag and tax together notice for a vehicle and a plate that I no longer own? The tax and registration fee are only due if you choose to renew your plate. If you no longer own the vehicle and have returned the plate to DMV or no longer wish to renew it, please disregard the notice. Where do I send my payment for the combined vehicle property tax and registration fee? The DMV collects vehicle taxes as well as registration fees. They offer 3 different payment options. You may use their online application at https://www.ncdot.gov/dmv/Pages/default.aspx or visit your local License Plate Agency. Payments should be made payable to NC DMV and are accepted by mail at the following address: NCDMV, P. O. Box 29620, Raleigh, NC 27626. DMV registration questions may be answered by calling 919-814-1779. I received a tax bill on property I owned on January 1 but sold during the year. Why? Under North Carolina General Statue 105-285, property taxes are billed annually in the name of the owner of record as of January 1. The property tax bill is mailed to you for this reason. However, North Carolina Session Law 2006-106 relieves the seller of liability for property taxes assessed on real property when the seller transfers the property before the taxes become past due. This law authorizes the Tax Collector to enforce payment by all legal means against the owner of the property (and any subsequent owner) as of the date taxes become past due. I received a tax bill on property I purchased during the year. Do I owe the full amount? Usually, taxes are prorated at the time of the transfer of ownership. To determine if your taxes were prorated at the time of closing, please contact your realtor or closing attorney. The best way to make sure there are no issues regarding unpaid taxes is to request that the taxes are paid upon the closing of the transaction. If current year taxes are not yet due, we will accept prepayments based on the previous year’s bill. What are the different methods available to pay my tax bill? By US mail, in person between 8:00 am - 5:00 pm at 201 North Chestnut St., Winston-Salem, NC (please note; if payments are made in person the only forms of payments accepted are cash, check, or money order). Credit card and e-check payments are accepted online. If paying by a credit card or a non-VISA debit card: the fee is 2.35% of the total amount due with a minimum fee of $1.95. If paying by VISA consumer debit card the fee is $3.95. To pay by e-Check the fee is $1.50 up to $9,999.99. A drop box is available anytime, which is located next to the parking deck entrance. 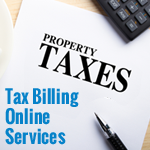 Can I use electronic payment options such as online banking to pay my property tax bill? Yes, but keep in mind electronic payments are considered to be effective when the funds are received by the office of the Tax Collector, not when the payment is submitted online. I paid my bill by e-check through the Tax Office's online system. Why doesn't my bill show as paid? E-check payments typically take several days to come to the County for processing. This is important to keep in mind as the date the payment is received is the date used for interest purposes. Also, it could be the payment was denied due to an incorrect account number being entered. There are some checking accounts that do not allow e-checks to be used. In these cases the transaction will not complete and money is not sent to the County for processing. My mortgage lender sent a letter stating my Property Taxes were paid but it is not showing paid when I contact Forsyth County or check the website. Why? Usually, because the payments go through a process with a servicing agent. This process could take up to a month to be received by the tax office. What is the North Carolina Debt Set Off Program? It allows counties and cities to garnish state income tax returns and/or State Lottery winnings to collect delinquent debts. I paid my bill using “online bill pay”. The money is back in my account and I have received a past due bill with interest. Why? Usually this happens when an incorrect account number is used. This will result in a rejected payment. If your payment is rejected electronically, interest charges may accrue if the bill becomes past due. If you choose to use this payment method be sure the online bill payment program that you use will allow you to change the full account number. It also is recommended you confirm your payment was received by the tax office. How does the Tax Office determine if a mailed payment is timely so no interest is added? Tax payments submitted by mail are deemed to be received as of the date shown on the postmark affixed on the envelope by the United States Postal Service (USPS). if no date is shown on the postmark or if the postmark is not affixed on the envelope by the USPS then the tax payment is deemed to be received when the payment is received in the Tax Office. Third party postmarks cannot be used in lieu of the USPS postmark. Certificate of Mailing forms are not acceptable documents to provide as proof of date mailed. If there are any disputes arising about the timeliness of mailed payments, the burden of proof is on the taxpayer. The Tax Office typically accepts certified and registered mail documents from the USPS as proof of mail date. If you do not agree with the value, you may appeal to the Board of Equalization and Review by filling out a BER Appeal Form. You may request a form by contacting our office during normal business hours, or you may print your online form by accessing your property on Detailed Property Information. The timeframe to appeal is from January 1 until June 28, unless otherwise advertised. I just purchased my property and your website still shows the old owner’s name and mailing address. Do you have record of my purchase? Once Forsyth County tax records are updated, our website usually takes a few weeks to show updated ownership information. How often is the tax rate adjusted? The amount of property tax you pay is based upon the value of your property and the tax rate is determined by your local government annually. How often does Forsyth County assess property? NCGS 105.286 requires each county to reappraise real property. The law also allows counties to reappraise more frequently at its discretion. Forsyth County has generally performed reappraisals every four years since 1988, which lessens the shift in values that occur over an eight year period. Why did my PIN Number change? 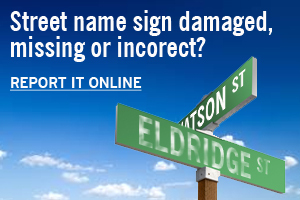 This usually occurs when a mapping change has been done to an existing real estate parcel. How do I find Block and Lot information for a parcel? Forsyth County Tax Administration maintains Block and Lot Parcel Information for properties within Forsyth County. There are multiple ways to access Block and Lot Parcel Information. To view a list of Block and Lot Information for each PIN within Forsyth County please go to the Block and Lot Parcel Information page. These maps include the lot lines for each block and lot along with annotated dimensions of each lot. To view the block and lot information in Tax Parcel Viewer, first hide the labels in the 'Parcel' map layer, then add 'Lot Annotation' to the 'Parcel Annotation (Dimensions, Acreage etc)' map layer. The Tax Parcel Viewer allows you to view an interactive map that includes the block and lot lines. To view the block and lot lines on the Tax Parcel Viewer, first you must disable the ‘Parcel’ map layer, then enable the map layers titled ‘Legal Lot Lines’ and ‘Tax Block’, then select the ‘Show layers’ option for the ‘Tax Block’ map layer. Block and Lot Information is also available on the Assessment Map Archives. 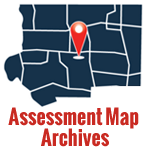 The Assessment Map Archives include maps of each parcel within Forsyth County. These maps include the lot lines for each block and lot along with annotated dimensions of each lot. These dimensions have been calculated for tax purposes only. Note: It is important to note that the dimensions of lot lines included on all information maintained by the Forsyth County Tax Administration are calculated for tax purposes only. The acreage of a tax parcel may not match the deeded or platted acreage of the parcel. Similarly, the dimensions included on tax maps may not match the legal lot dimensions included on a plat or deed. To access information on the legal lot dimensions of a parcel, you can locate the deed of the parcel by accessing the Deeds tab on Detailed Property Information or going to the Register of Deeds Look Up. 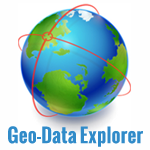 Additionally, all information on the Tax Parcel Viewer that is included in the 'Parcel Annotation (Dimensions, Acreage etc)' map layer is current as of January 1 of the most recent year listed in the Assessment Map Archives<="" font-="">. What do I need to do to avoid being penalized? N.C.G.S. 105-307 states tax listing forms should be completed, signed, and received in the tax office or postmarked by the U.S. Post Office by January 31 of each year unless the Forsyth County Board of Commissioners extends the listing period. Faxed listings are accepted. Personal property listings also may be made online beginning January 2016. How do I apply for the elderly or permanently disabled homestead exemption, disabled veteran’s exemption, or the circuit breaker program? You need to submit a completed application on or before June 1. You can obtain an application by checking the box in section “D” on your listing form or call the office at 336-703-2300 and one will be mailed to you. You may also stop by the office during business hours. You must meet certain criteria to qualify. More information is provided on the website at under Property Tax Relief. Do I have to list my property? N.C.G.S. 105-285 states that all taxpayers that own real estate, personal property, or business personal property as of January 1 must list by January 31 of each year. There is a 10% penalty based on the personal/ business personal property tax added for each listing period that is late or missed. Real estate with no improvements made during the past year is automatically listed and is not penalized for failure to list timely. What types of property are included as personal and should be listed? Unregistered vehicles or vehicles without a current tag as of January 1 should be listed. Permanently tagged, multi-year vehicles/trailers and ATV’s should also be listed as personal property. Other items that should be listed include manufactured homes, watercraft, horse tack and farm tractors. 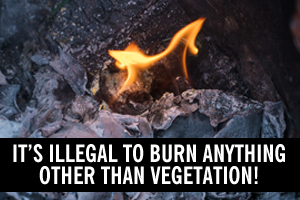 Do not list household items, livestock, personal golf carts, and residential lawn tractor/mowers. Please call the tax office at 336-703-2300 if you have a question regarding what property should be listed. Do I have to list my dogs and cats? No. Dogs and Cats are licensed through Forsyth County Animal Control. Please call 336-703-2480 if you would like more information. How do I list my property with the County tax office? If you listed personal property in Forsyth County last year or own real estate as of January 1, you should receive a listing form in the mail on or before January 1. If you are listing for the first time or have not received your listing form in the mail you may call us at 336-703-2300 or visit the Tax office on the first floor of the Forsyth County Government Center at 201 N. Chestnut Street in Winston-Salem between the hours of 8:00 am and 5:00 pm, Monday through Friday. How do I remove personal property from my listing form that I sold or transferred during the previous year? During the current listing period you may mark through the entry and explain what happened to the property: example; date sold, date junked, etc., sign and return the listing. If you need to report this after the current listing period is over, we will need a copy of a bill of sale indicating when the item was sold in order to consider an adjustment. Do I still have to pay taxes for a full year on the personal property that I sold after January 1? Yes, you are taxed based on what property you owned on January 1. Additionally, you will need to mark through the item on your next year’s listing form. How do I appeal the value of my personal property? Owners of personal property and business personal property have 30 days from the date of their first notice or bill to appeal assessed value. Appeals should be submitted in writing to the Tax Assessor's Office and include the item's original purchase price, full description, condition and any other supporting documentation, if needed. An appeal form is located on our website under the "Forms" section and is titled Board of Equalization and Review Personal Property Appeal Form. Can I request a refund for penalties on personal property including business personal property after I pay the bill? No, once penalties on personal or real property bills have been paid, the ability of the governing board to consider or remove these penalties has come to and end. Business personal property is movable property that is used in a trade or business. This type of property is subject to property tax throughout North Carolina. If I close my business is the personal property still taxable? When a business ceases operation, the property remains taxable in Forsyth County unless it is converted into household personal property, moved out of Forsyth County or is sold or discarded. Household personal property is defined as property that could normally be found at a home. Business personal property is taxable as of January 1 of each year. What information should a taxpayer provide the Tax Assessor’s Office if they close their business? The taxpayer should complete the out of business section on the business personal property listing form and sign the document. In the out of business section, the taxpayer should indicate when the business closed and what happened to the assets. The taxpayer needs to state whether the assets were sold, discarded and/or donated, moved out of Forsyth County, converted to household personal property or were involved in a bankruptcy. The taxpayer should also provide any other relevant information concerning the taxability of the assets in question. The taxpayer should provide the name and address of the purchaser of the assets, if the assets were sold. If I receive a rejection letter about my original listing, do I make the corrections on this listing or do I need another listing form? Make the corrections on the listing form that was sent back to you. A new listing form is not necessary. If the listing form is blank, do I need to complete Section B every year? Yes, total historical cost of the assets by the correct year of acquisition is required in Schedule B. If these cost numbers are not preprinted, you need to enter them on Schedule B. On Schedule B the numbers are preprinted. Can I change them? Yes, if the preprinted numbers are not correct, you need to draw a line through the incorrect preprinted number and enter the correct number. For example, under the Computer Equip/Software column on Schedule B there is a figure of $2,000 representing two computers costing $1,000 each. If one of these computers is discarded, draw a line through the $2,000 and write in $1,000, which represents the cost of the remaining computer that was in place on January 1 of the year in question. I do not have enough space to list all of my mobile homes and/or unregistered vehicles on the listing form. What should I do? List them on a separate sheet of paper and include it with your listing form. How do I notify the Forsyth County Assessor’s Office concerning the total cost of my professional library? List this cost on a separate sheet of paper and include it with your listing form. If you no longer have a professional library, please indicate the date it was disposed. The number of mobile homes I own has changed from last year. What do I need to do? You should include a list of the mobile homes owned as of January 1 of the year in question and provide all of the information requested in Schedule D.
I have the same mobile homes that I had last year. Do I still need to list them? Yes, you are required by NCGS 105-274 to list your mobile homes, as well as, any other personal property. I do not own a business. Why do I have to list my airplane on a business form? The business personal property listing form is the only form in Forsyth County on which you can list airplanes. The fact that airplanes are often owned by businesses provides the theoretical basis for listing aircraft on a business personal property listing form. I have some business personal property that I believe is exempt from property taxes. Do I still have to list the property? Yes, the business personal property needs to be listed. You need to contact a Tax Deferment Specialist with the Forsyth County Assessor’s Office for the applicable exemption forms. The Tax Deferment Specialist will make a determination relative to the validity of the exemption request. When can I appeal the value of my business personal property? In the absence of a unique valuation notice, the tax bill services as notice of the value of business personal property. All business personal property appeals must be filed with the Tax Assessor, in writing, by September 1st of the year the bill was originally due. Why are you reappraising property? Reappraisals are conducted to provide equity between properties and to maintain fairness. It is necessary to re-equalize values periodically to ensure that all property bears its fair share of the tax burden - no more, and no less. Why is my value “Pending”? During the reappraisal process, several factors are taken into consideration to arrive at each parcel’s value. For example, some reappraisals may not be complete if the property had changes to a building, or if a new parcel id number was issued due to a change in land size. This may delay the completion of updating these values. You will be notified of the new value as soon as possible and will have an opportunity to appeal if you do not agree with the value. What if I disagree with my appraised value? Simply complete and return a Board of Equalization and Review (BER) Appeal form. Appeal forms are available through Detailed Property Information or by calling our office at 336-703-2300. BER appeals must be filed by the last business day in June, or within 15 days of your last value notice, whichever is later. Appeals also may be completed online at eNotices Online. Can I Appeal the value of my real property online? Yes. If you would like to do so, please go to eNotices Online. If you have not registered before, you will need to register using the authorization code shown on your last Forsyth County Listing Form or Bill. If you have multiple accounts, you may register once and then link all of your other accounts. If you decide later that you prefer to receive notices via regular mail, you may discontinue this service. If the information review process does not resolve your concerns, you may appeal your valuation to the Forsyth County Board of Equalization and Review. Formal appeal forms are available on Detailed Property Information or by calling our office at 336-703-2300. Formal appeals must be filed by June 30th, 2017 or within 15 days of your last value notice, whichever is later. Appeals to this board must be submitted in writing. If you do not agree with the Board’s decision you may appeal to the North Carolina Property Tax Commission. The North Carolina Court of Appeals and the North Carolina Supreme Court would hear further appeals. May I talk with an appraiser in the Tax Office? Reappraisals cause a significant increase in workload for our appraisal staff; therefore, our appraisers are not always available in person. Please call (336) 703-2300, and we will be happy to take your contact information for a call back, or schedule an appointment for you. Will the reappraisal affect my property value? No, the tax value of your property is our estimate of the likely sale price of your property if sold on January 1, 2017. How can I compare my property value to other properties? Tax assessment records are open to public inspection. You may also visit the Tax Assessor's website at the following web address to view tax records on-line. 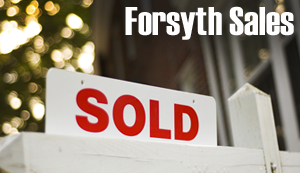 You may also research property transfers a by visiting the Forsyth Sales Application. How will the reappraisal affect my tax bill? The impact of a reappraisal on an individual tax bill may vary. The County attempts to consider the overall market, the local market and the individual characteristics of each property when estimating value. Therefore, the value of an individual property may increase or decrease independently of surrounding properties. Changes in your total tax obligation are dependent on the amount and value of personal property you own, the changes in your real property value, and the adopted tax rate for your jurisdiction. How do I acquire a list of properties and sale dates? The Tax Office does not maintain or provide a mailing list of these properties. When foreclosure properties are ready, the sale dates are posted on the Foreclosures Page on the 2nd floor bulletin board in the Hall of Justice (Second & Main Streets, Winston-Salem) and in the Winston-Salem Journal for three weeks prior to sale. Surplus properties may be viewed on the Surplus Properties Page. May I purchase tax lien certificates from the Tax Collector's Office? North Carolina State law prohibits the selling of property tax liens. Foreclosure Sales are held on the 2nd floor of the Hall of Justice, Second and Main Streets, Winston-Salem, N.C.
On what days are the sales held? Sale dates for foreclosure sales are randomly selected and occur at 12:00 noon. How much is required as a deposit on the day of the sale? Foreclosure Sales require a 5% - 20% of the highest bid (as set out in the Notice of Sale). Will Forsyth County accept written or telephone bids? Only bids from auction attendees at the foreclosure sale will be accepted. What type of payment is accepted for the deposit? Cash, money orders or certified funds are accepted for deposits. Does Forsyth County offer financing? Forsyth County does not offer financing. Will I be paid interest on my deposit if I am not the highest bidder? No earned interest is paid for funds on deposit. Where do I go to place an upset bid? Foreclosure sale upset bids must be submitted in person at the Clerk of Court’s Office, Room #245, Hall of Justice, Second and Main Streets, Winston-Salem, N.C. The court case number must be provided to the Clerk's Office in order for the clerk to access the record. That number is available on the Property Tax Foreclosure Sales site. Surplus property offers must be submitted to and agreed upon by the Board of Commissioners, and will then be subject to a 10-day upset bid period. Accepted offers will be advertised in the Winston-Salem Journal and subject to a 10-day upset bid. To submit an upset bid on Surplus Properties ONLY, contact the County Manager’s Office at (336)703-2020. What is the required minimum for an upset bid? Foreclosure upset bids require a 5% increase over the last bid, with a minimum increase of $750. Surplus property upset bids must be increased by 10% of first $1,000 and 5% of the balance of the most current bid. Does the 10-day upset bid period include weekends? The day after the foreclosure sale is recorded counts as Day 1. Saturday and Sunday are also counted; however, if Day 10 falls on the weekend or a holiday, the next working day shall be counted as Day 10. How do I find out if the 10-day upset period has closed out? Inquiries regarding "close out" status of foreclosure sales ONLY, must be made in person at the Clerk of Court's Office, Room 245, Hall of Justice, Second and Main Streets, Winston-Salem, N.C.
For Surplus properties ONLY, contact the County Manager’s office at (336)703-2020 to inquire if the upset bid period has closed. When is full / final payment expected? Final payment on a foreclosure sale shall be due in the foreclosure attorney’s office upon delivery of the Commissioner’s deed and no later than 30 days after completion of the 10-day upset bid period. Final payment on County surplus properties must be made within 10 days of completion of the 10-day upset bid period and are contingent upon approval of the bid by the Board of Commissioners. What kind of deed will I receive if I am the final bidder at tax sale? assessment not included in the judgment. A quickclaim deed will be issued for the County surplus properties. What happens to property when no one places an opening bid at a foreclosure sale? If no initial or upset bid is submitted on a foreclosure property, foreclosure sale properties move into Foreclosure Sale Residual Parcel status and may be made available for purchase at a later auction. Sale dates will be chosen randomly but advertised on the website and in the Winston-Salem Journal. What is the difference between Foreclosure Sales & Surplus Property? Foreclosure Sales are properties sold due to delinquent tax liens. The County opens bidding at the amount equal to taxes plus legal costs. Anyone may offer an amount over the County's bid and obtain ownership upon completion of a 10 day upset bid period. Surplus Properties are parcels that are owned by the County. The County acquired these properties by becoming the last and highest bidder at their foreclosure sales. These parcels may be purchased directly from the County by submitting a written offer, or by completing the "form for bid" located on the Surplus Properties Page. These properties are not to be confused with properties held by the County for its own use. What happens to property acquired by the County at a foreclosure sale?? The property moves into surplus property status, and may be purchased directly from the County by completing and submitting the “offer to purchase” form—available on the Surplus Property Page. The offer must be mailed to ATTN: Chelsea Swaim, Forsyth County , 201 N. Chestnut Street, Winston-Salem, NC 27101. Offers may also be deposited in the Tax Collector’s Office drop box (to the right of the entrance to the parking deck), or dropped off with a cashier. The offer will be reviewed by the County Board of Commissioners; and, if accepted, is subject to a 10-day upset bid. Are these properties involved in mortgage company, city, or Sheriff's Office foreclosures? These sales are generated from delinquent tax liens ONLY. They are NOT related to any mortgage company, city, or sheriff's office foreclosures. The Tax Administration Office has no knowledge of foreclosure proceedings being conducted by a mortgage company, city or sheriff's office. Gap billing of property taxes occurs when there is one or more months (a gap) in billed property taxes between the expiration of a vehicle's registration and the renewal of that registration or the issuance of a new registration. No. Property taxes paid to the North Carolina Division of Motor Vehicles (NCDMV) at the time of registration renewal or issuance are for the same 12-month period as your registration. The taxes billed on a gap property tax notice are only for the months your vehicle was not registered with the NCDMV. How many months can a gap property tax cover? A gap property tax notice will cover at least one month and will cover all months between registrations, without limitation. How is my vehicle's gap value determined? Vehicle gap value is determined by dividing the vehicle value as of January 1 by 12 months to determine the vehicle's monthly value and then multiplying the monthly value by the number of months between the prior registration and new registration (or gap). Taxes are due by the September 1 that follows the gap property tax notice date. These taxes can be paid without interest before the following January 5 (or following Monday if January 5 falls on a weekend). When does interest start and how is interest charged? Interest accrues for taxes paid after January 5 at 2% for the month of January and accrues at 3/4 of 1% on the first day of each following month. How do I pay my gap property tax notice? Payments should be mailed to the address printed on the front of your notice or made in person at the Forsyth County Tax Administration Office, located at 201 North Chestnut Street, Winston-Salem, NC 27101. Appeals of value, situs (location where taxed), and taxability must be filed with the tax office with in thirty (30) days of the September 1 that follows the gap property tax notice date. Appeals need to be submitted in writing. Please contact our office at (336) 703-2300 for information and assistance. What if my vehicle was registered in another state during the months listed on my gap property tax notice? Bring the original out of state vehicle registration to the Forsyth County Tax Administration office to have the gap property tax notice adjusted accordingly. What if my vehicle was not located in Forsyth County during the months listed on my gap property tax notice? The NCDMV requires citizens to update both their drivers license/ID card and vehicle registration within 30 days of moving. Bring the original Certification of Change of Address supplied to you by the NCDMV to the Forsyth County Tax Administration office to have the gap property tax notice adjusted accordingly. Please be aware, you will receive a bill from the county where the vehicle was located during the gap in registration. Taxes are delinquent if unpaid by the January 5 that follows the September 1 due date. Delinquent taxes are subject to garnishment of wages and levy on personal property immediately upon becoming delinquent. Who do I contact if I have question? Please contact the Forsyth County Tax Administration at 336-703-2300 or visit our website at https://www.forsyth.cc/tax/. What is the purpose of the Voluntary Agricultural District Map? A Voluntary Agricultural District Map identifies properties located within a ½ mile radius of a Voluntary Agricultural District. You can view the Voluntary Agricultural District map by going to https://mapf.maps.arcgis.com/apps/webappviewer/index.html?id=99703780ece9415e8402e24a23e94aec. A list of properties that have been designated as Voluntary Agricultural Districts and properties that are located within a ½ mile radius of a Voluntary Agricultural District is located at http://forsyth.cc/Tax/Documents/Final2018JurisdictionMap.pdf. It is important to note that neither the Map of Voluntary Agricultural Districts, nor the list of properties surrounding Voluntary Agricultural Districts contain any information regarding Voluntary Agricultural Districts located outside of Forsyth County or, of properties in Forsyth County located within a ½ mile radius of a Voluntary Agricultural District located outside of Forsyth County. What is a Voluntary Agricultural Districts? Voluntary Agricultural District is a designation given to qualified farmland designed to increase identity and pride in the Agricultural community and its way of life, and increase protection from nuisance suits and other negative impacts on properly managed farms. Voluntary Agricultural Districts promote the preservation, development and growth of farmlands. How does farmland become qualified to become a Voluntary Agricultural District? The farmland must be an active participant in the Present Use Value Assessment program by meeting all the qualifications of this program set forth in NC GS 105-277.3, as determined by a County Tax Administration, and qualify for and complete the a County Voluntary Agricultural District Application for Participation process through the a County Soil and Water Conservation Department. Where can I find more information about Voluntary Agricultural Districts? The Voluntary Agricultural District Map is located at https://mapf.maps.arcgis.com/apps/webappviewer/index.html?id=99703780ece9415e8402e24a23e94aec. To search a list of Voluntary Agricultural Districts and the properties that are located within a ½ mile radius of a Voluntary Agricultural District please go to http://forsyth.cc/Tax/Documents/Final2018JurisdictionMap.pdf.